In Honor Of Design: Celebration of Life Week: Color Weardrobe with guest Meet Virginia! Celebration of Life Week: Color Weardrobe with guest Meet Virginia! I recently came across Morgan's blog, MEET VIRGINIA and was an instant fan. After reading Rainbow Bright was her style icon, I knew we would be good friends:) You all know how I love color so I was excited Morgan agreed to help me celebrate life this week with one of her super fabulous color wardrobe posts! Thanks for being here Morgan! Well hello there, I.H.O.D readers! I am super happy that Anna asked me to guest post today while she is out celebrating a new addition to their family. First, how rude of me I haven't even introduced myself! Meet Virginia Design is a hodgepodge of: personal style, design, and everyday happenings in my life. See it really isn't that hard....Right? Ok maybe it is slightly difficult to break the basic instinct of having to match everything, just try and make baby steps for instance don't match you belt and your shoes. Live a little on the wild colorful side! It really can be super fun, and will bring a smile to your face and those around you! Thanks so much again Anna, and to you guys for letting me post for you today. I had a complete blast and look forward to meeting some new bloggy friends! Don't be a stranger, now ya hear ;)?! Love, love. ps: If you have a birthday in April, stop by we are having a little party! 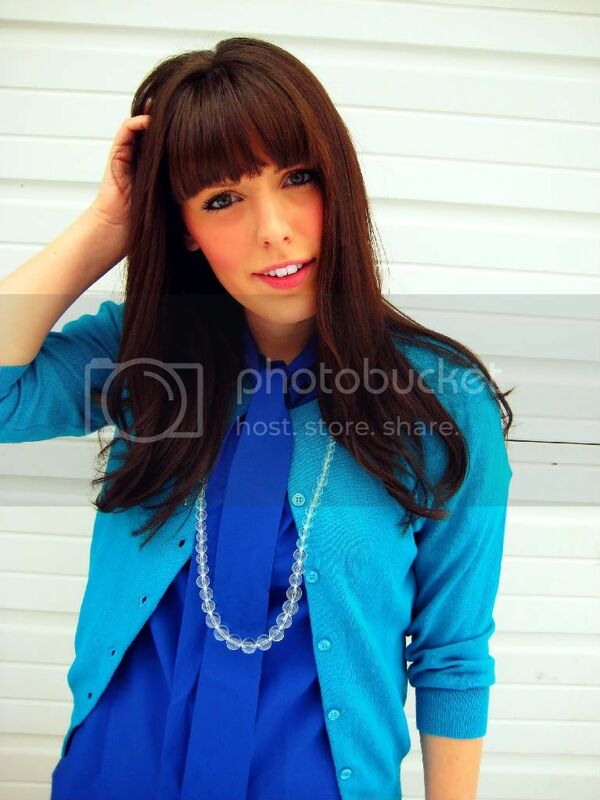 loooove her blog, too!!! she and i are shoe twins - that's like all we tweet about. hehe. 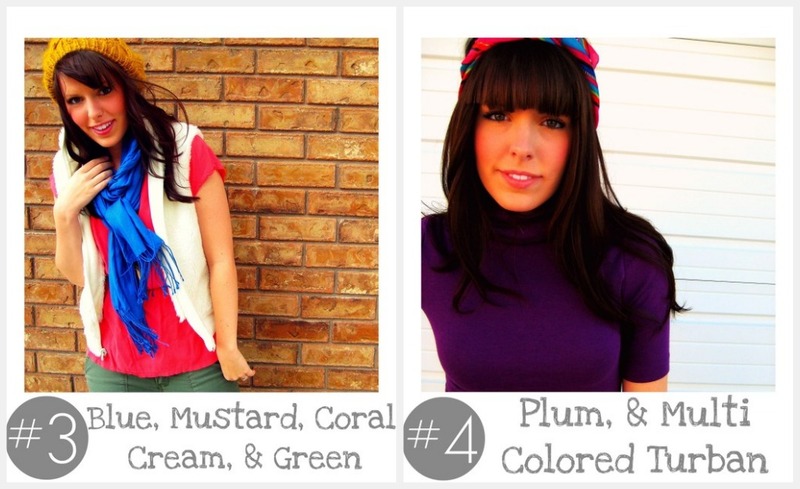 and now i just discovered we are color twins - loooove her style! I absolutely adored this post -- It put a big smile on my face and made me so happy! Thanks for sharing, Morgan! i love ladies who heart color! she's adorable. A lady after my own heart. I love the color combination. 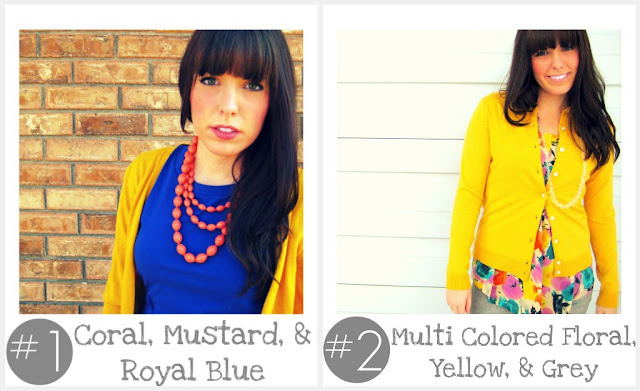 Wow, i love these colorful outfits - especially your yellow cardi with blue shirt - one cannot be sad wearing such a combination. Will look at your place Morgan! Anna: Thanks for coming! I'm so glad to hear you're having such a wonderful time with your sweet new addition and am sending lots of Love! You're such a great blogger, organizing everything the way you did - Bravissima bella, just perfect! Love her style. I wish I was more daring with color! Beautiful guest post, I'm loving all the bright cheerful colors. Everything is so cheerful :) Love it! Oh how fun! I love these pictures. The colors are beautiful. But she is right. You have to take baby steps in stepping outside the box. What a fun colourful post! love it! THIS is a beautiful blog. SO glad I found it. Oh this is perfect, I love all bright fun colors:-) Cute outfits hun, new follower here! I've never shied away form colour clashes and I love these!